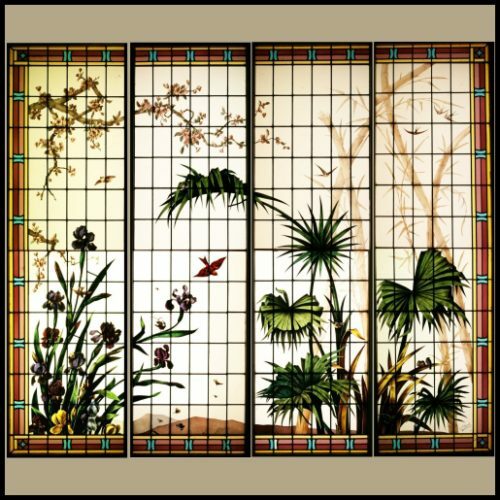 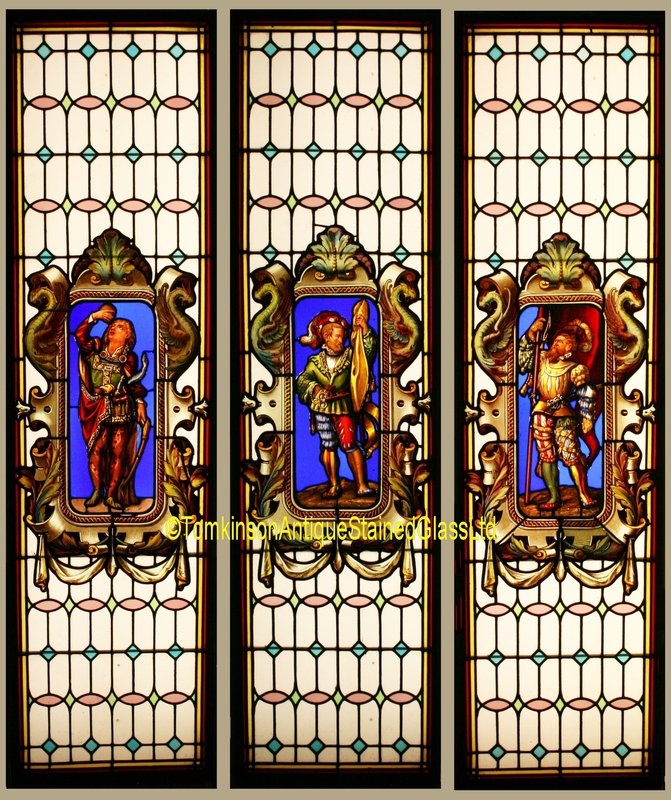 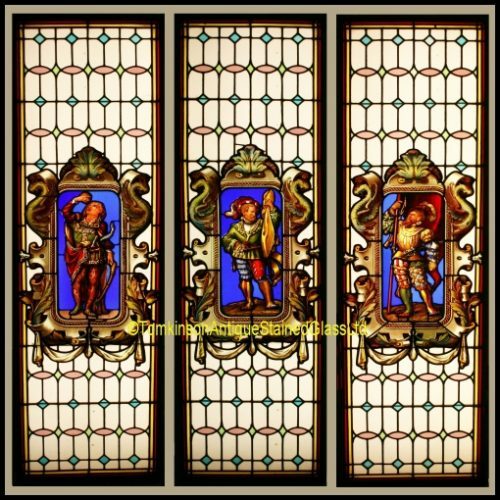 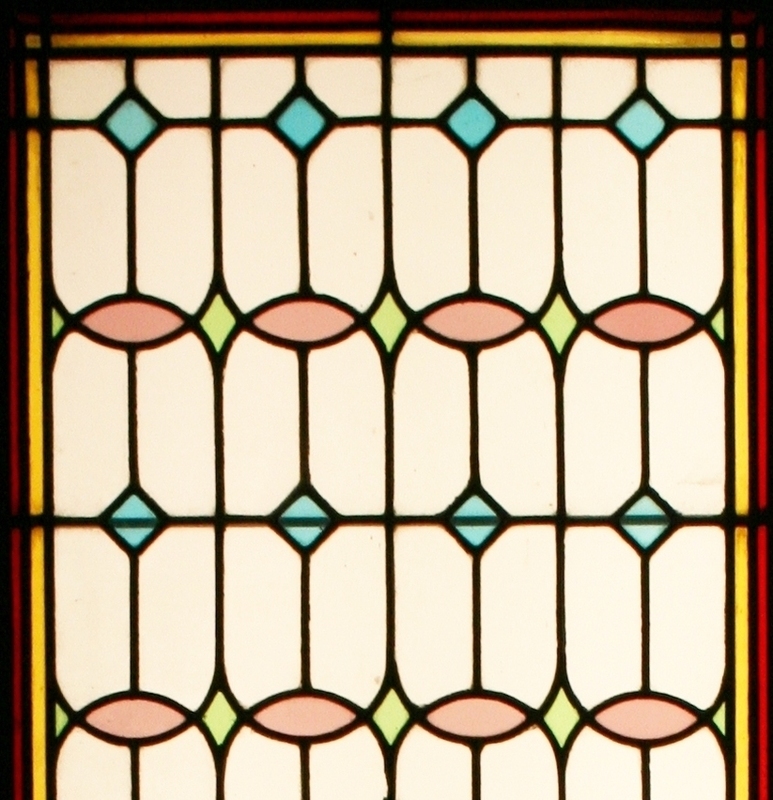 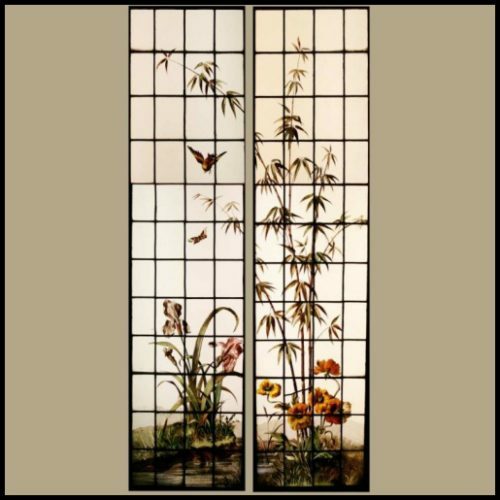 Set of 3 antique French stained glass windows, c1910. 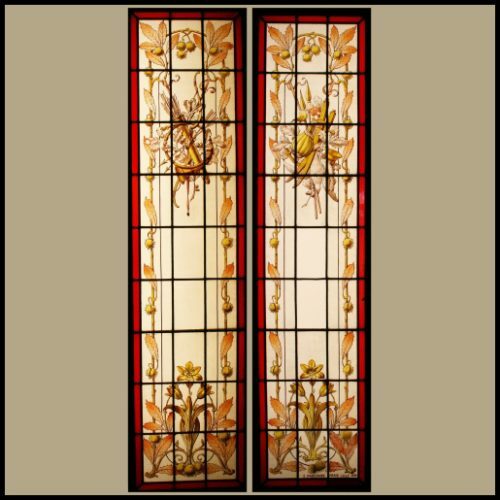 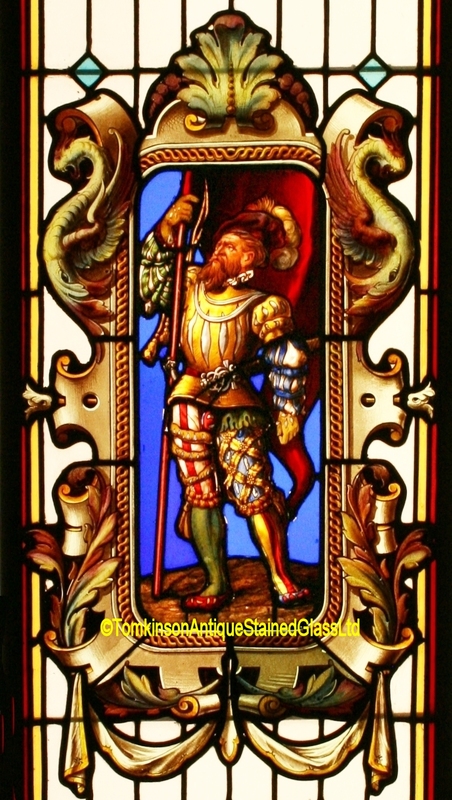 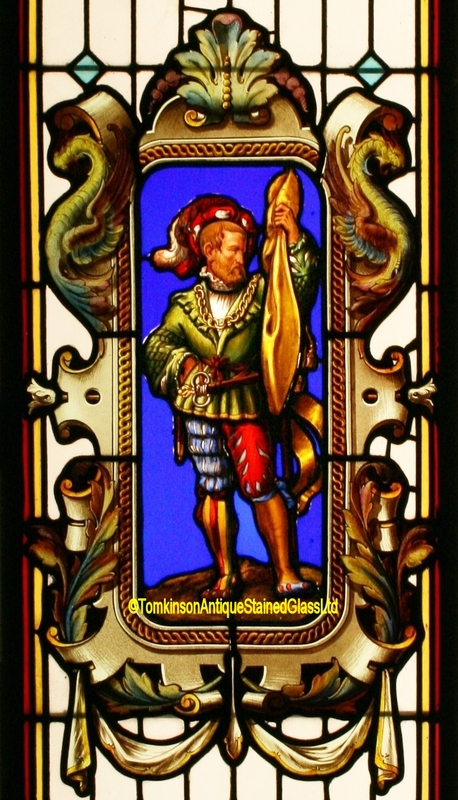 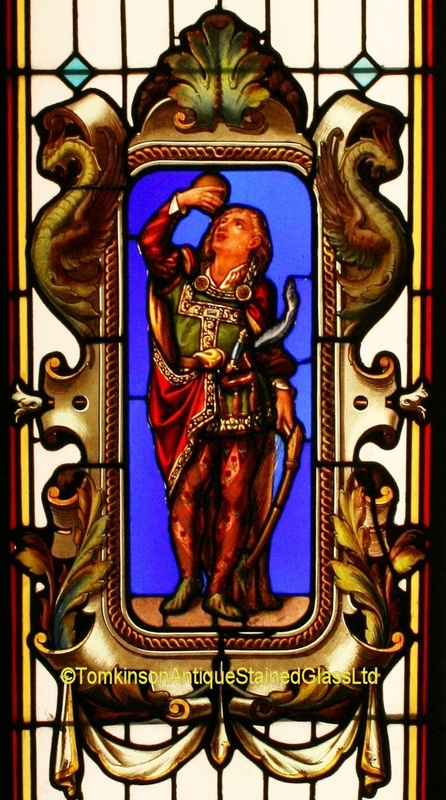 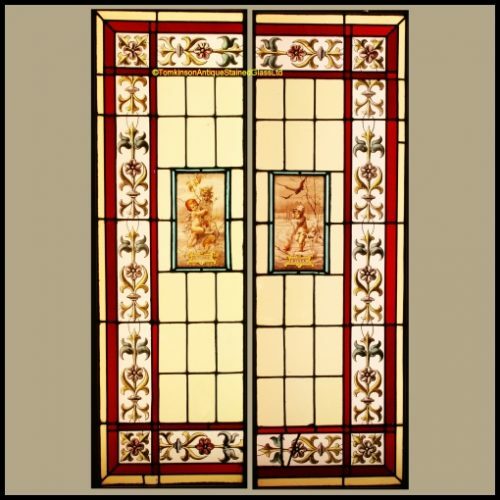 Each leaded with obscure & coloured glass, with central panels hand painted depicting male figures/Guards in medieval costume. 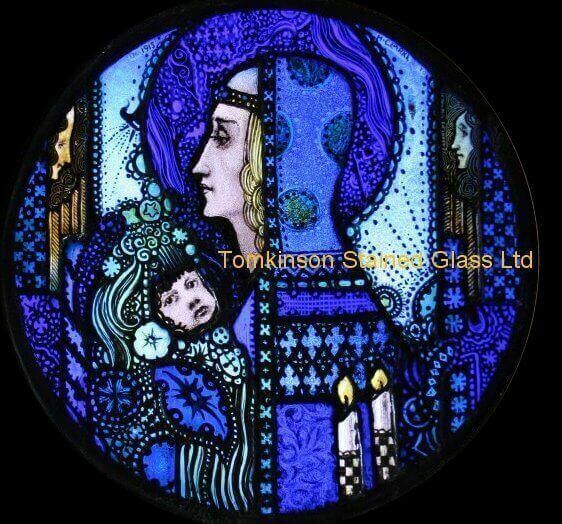 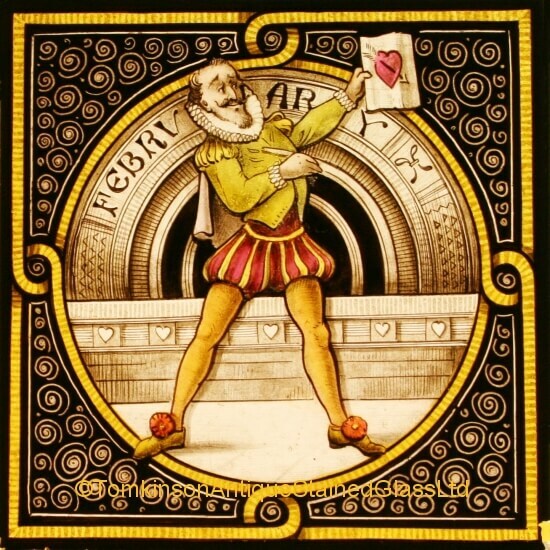 Super quality of hand painting, with acid etching, silver stain and enamel paints. 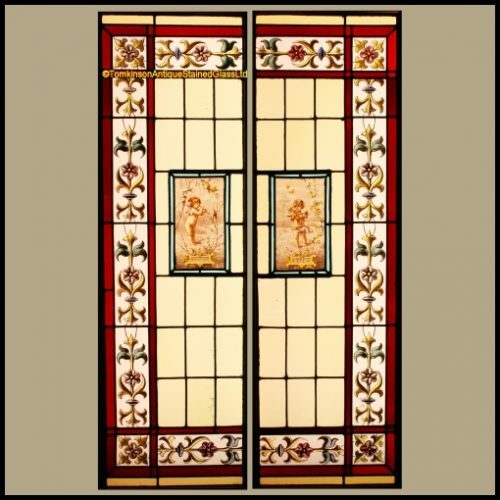 Can easily be fitted into double glazed units making them ideal for a conservatory or sunroom.